The game uses are movement and portrays from Transalpine Gaul to Britania. The Romans only get 10 legions in the game but can convert tribes militarily and politically (it's easy to get people to see things your way when you hold their family as slaves.) The German player gets 6 blocks in the game but can more easily persuade their neighbors to join there cause against the Roman oppressors. 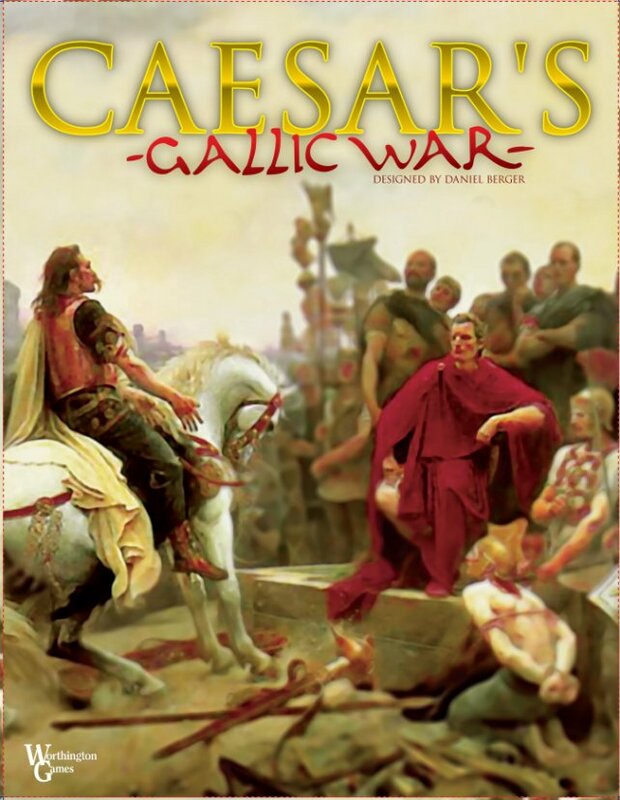 There are revolt cards which bring Gaul leaders into play (especially the Massive Revolt card which brings Vercingetorix in and causes 4 tribes to revolt and move).